gucci celebrates its past by looking at its future opened on september 26th 2011 the gucci museum is born to celebrate the first 90 years of the florentine maison by opening wide the doors of its historical archive to the city where it all began. from the suitcases produced by the first workshop opened in town by guccio gucci, in 1921, to the latest collections designed by frida giannini, creative director of gucci. the brand with the florentine heart chose the historic and prestigious palazzo della mercanzia, located in piazza della signoria in florence, to tell its story to the world. the building rises in the ancient roman theater area, whose ruins were also discovered in the basement of palazzo vecchio, and was erected following a resolution in 1359 on the model of the near palazzo degli ufficiali della condotta dating back to 1337. on the façade is placed a bas relief depicting the blessing christ, beneath of it stands the inscription omnis sapientia a domino deo est (from the lord comes all the knowledge), and the copies of the twenty one crests of the arts and the one of the tribunale della mercanzia with the lily of florence. the original crests are kept at the museum ground floor, which is now used as bookshop and restaurant. the building reopens to the town becoming not only a space for exhibition and narrative of the craftsmanship which is typical of this city, but is also a space of hospitality, acceptance; city space. 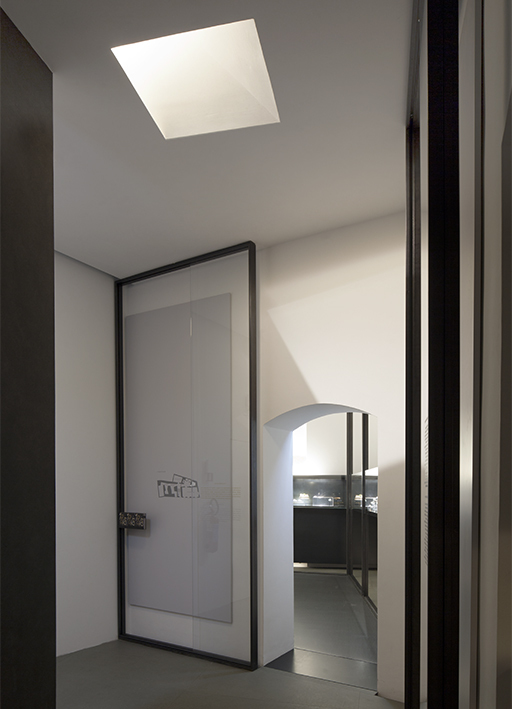 the building becomes permeable and welcoming and the light design emphasizes this will: from piazza della signoria one perceives the entrance and the hospitality areas thanks to a light that breaks through the boundaries of the architecture. the windows has been made by a mario nanni’s special project: la luce dell’aria. a patented system which integrates light in the frames. the glass is no longer a barrier, rather a sheet of light, no longer a boundary, rather an opening to be crossed. to enter the building means to enter the gucci house: a world made of objects, accessories, books, symbols, culture, substance of the image. the hospitality areas at the ground floor are characterized by rest places: to eat, to read, to observe, to taste are actions for which light has been designed. a long table cuts longitudinally the reading room and the light fitting la barra d’oro designed by the architect peter zumthor allows an accent warm light to be along all the table surface: positioned downwards when one reads, upwards when one eats. 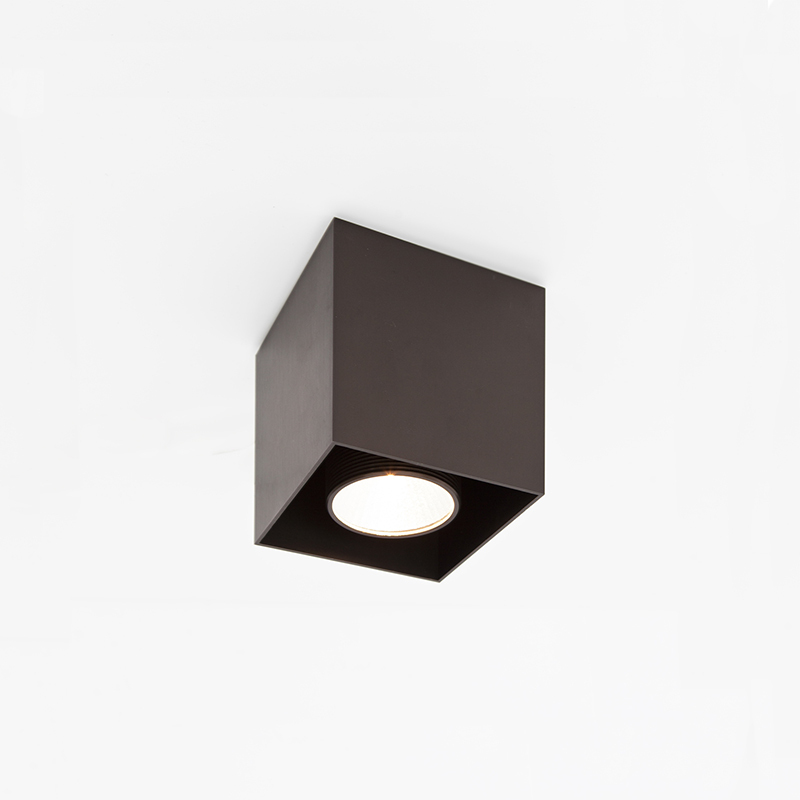 the flexibility of this light fitting, which thanks to a sophisticated total recessed latch system may be lifted or lowered with a finger, adapts itself perfectly to the flexibility of this space where the guests take their seats throughout the day on several occasions. the dining area is instead characterized by square tables over which are sospended the light fittings signoria designed by mario nanni specifically for this project. a tribute to the city of florence, to the square on which one looks out from the building, to the florentine architecture and to its greatest master: brunelleschi. 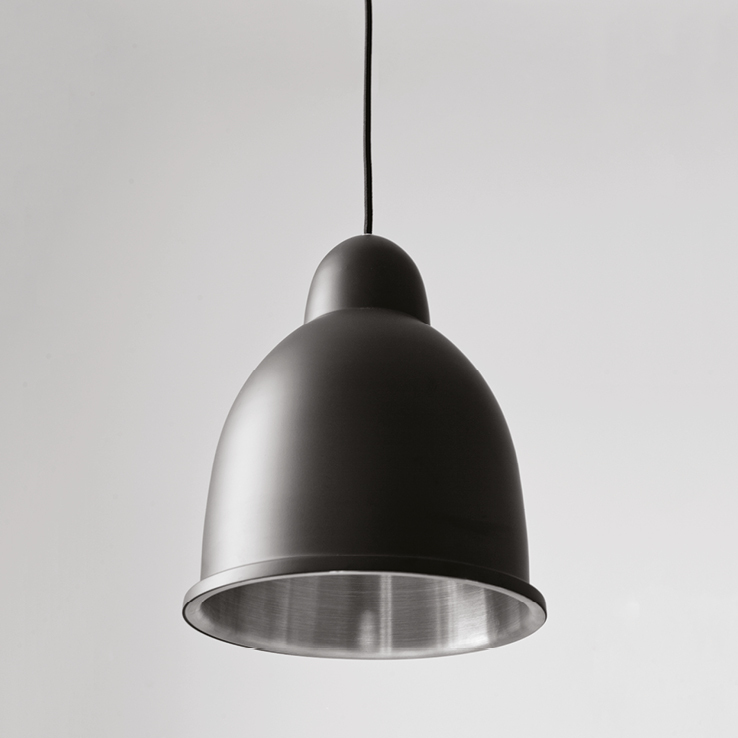 the dome of santa maria del fiore is the shape that has inspired this light fitting, simple and rigorous in its outside matt black finish (Viabizzuno my nero) and precious and rich inside with its natural brass cap which generates a warm accent light that is ideal for eating. 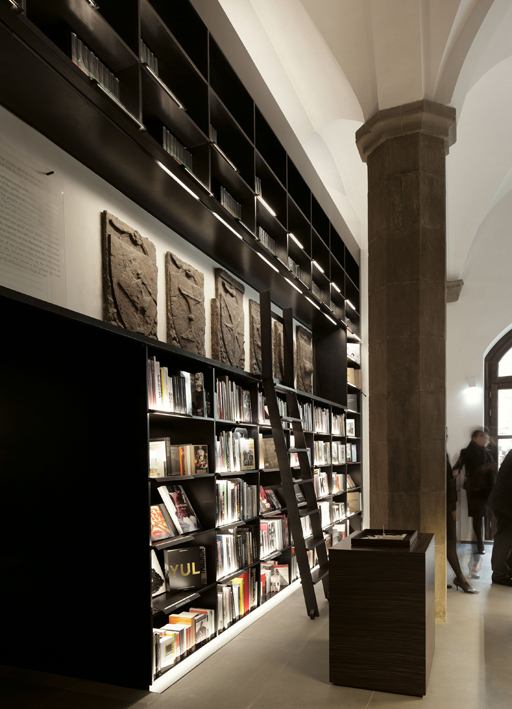 in the bookshop area the light fitting by the master zumthor is replicated, but in its smaller version, la tagliata: ideal to illuminate the books displayed on the desks in the middle of the hall. 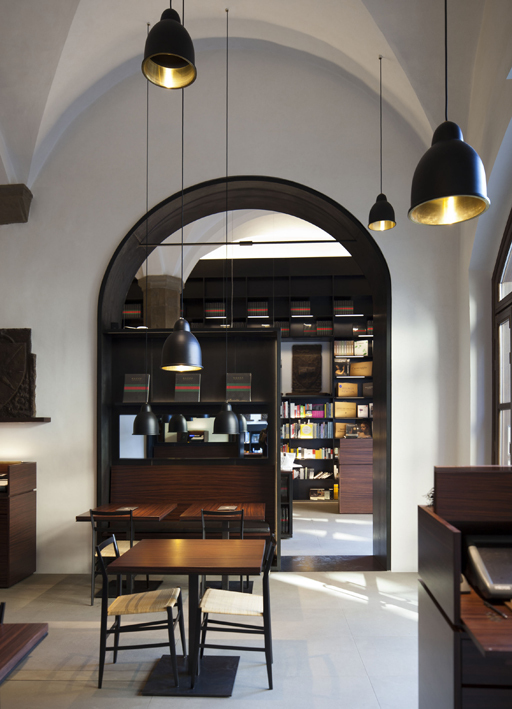 the three parallel rooms (reference room, restaurant and bookshop) are characterized by wide wall bookcases which make the spaces more comfortable. 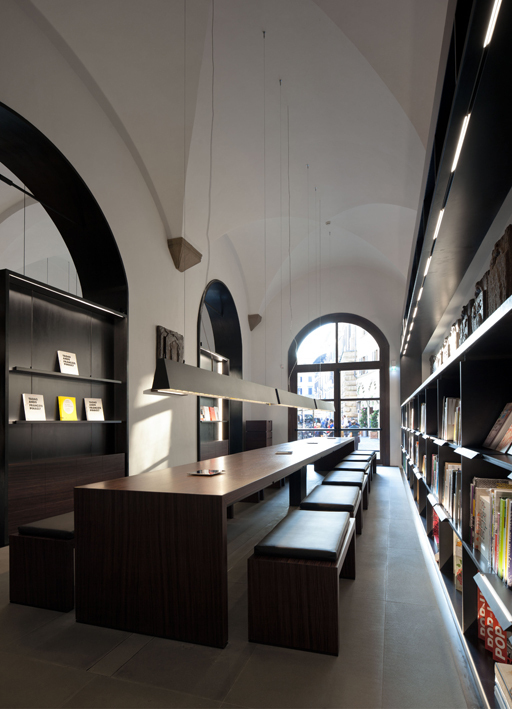 on the shelves a particular light fitting called segnalibro allows the correct lighting of the displayed volumes and at the same time makes the graphic useful for recognizing the themes and categories under which the books are positioned. 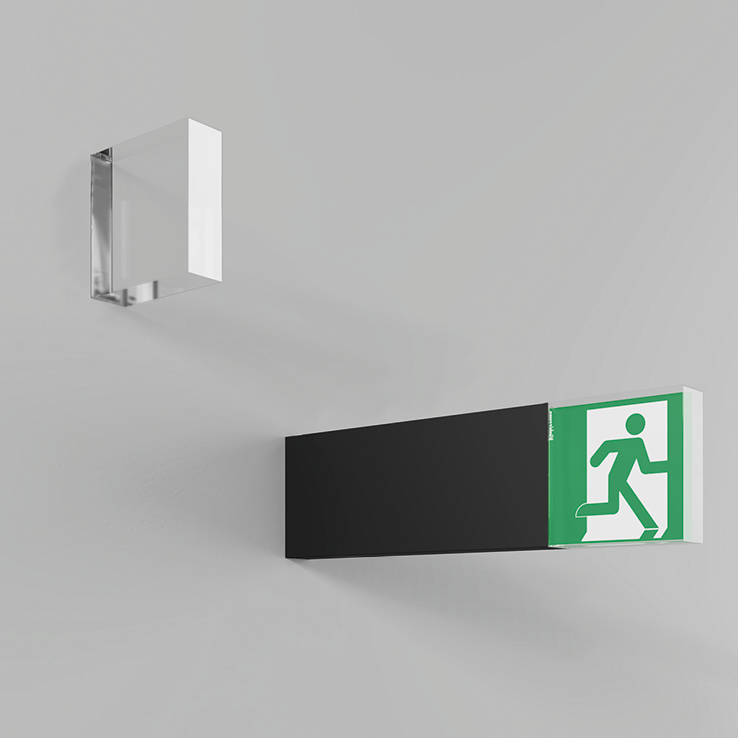 the wall gets illuminated with a graphic sign which makes the books the protagonists of the interior façade by making completely disappear the light fitting: totally integrated with the shelf unit. to give great flexibility to the spaces and remaining loyal to the historical elements of the building mario nanni has patented on this occasion a new system for the distribution of design plants: ai tuoi piedi. 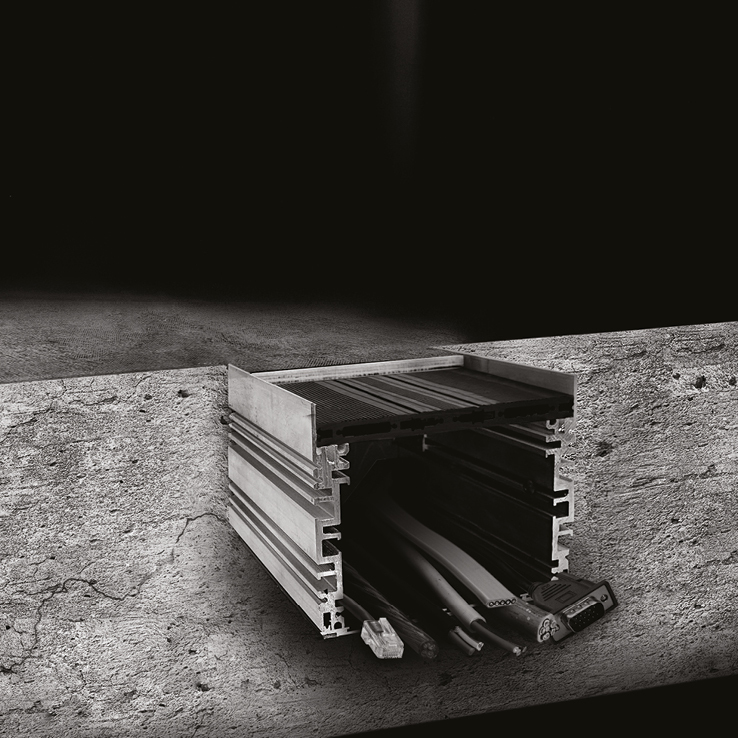 a modular system made of extruded aluminium conceived for the distribution of cables and electrical components inside the floor; totally inspectable and totally recessed thanks to the cover of this system which is designed to be coated, up to a 10mm depth, with any finish of the pavement (stone, wood, marble, ceramic…) integrating itself totally with the room. 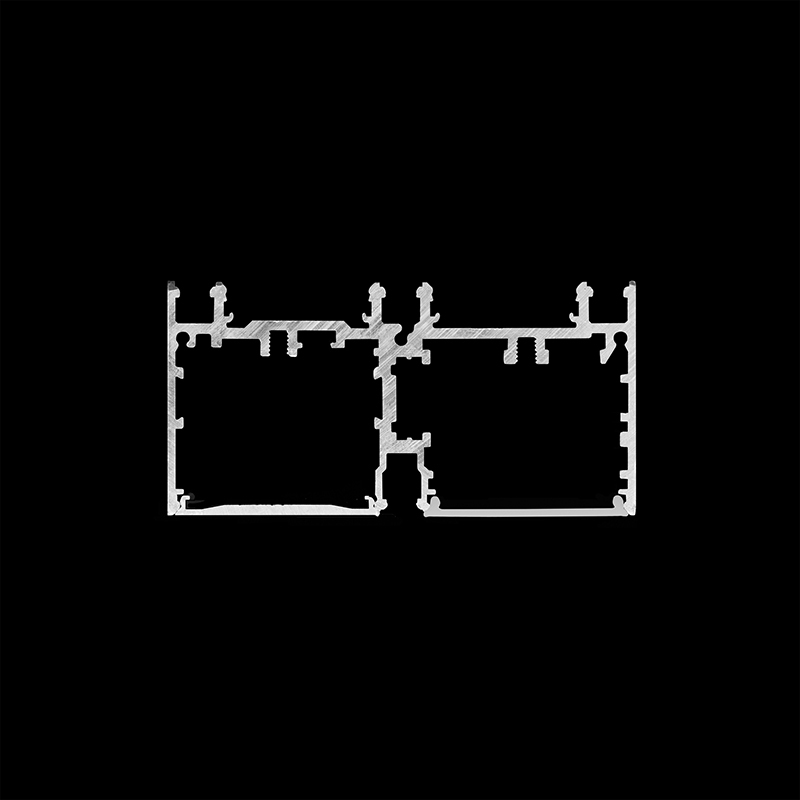 ai tuoi piedi is characterized as an architectural line, a stroke in the space and allows to ‘wire the rooms’ even when one has to preserve historic buildings. 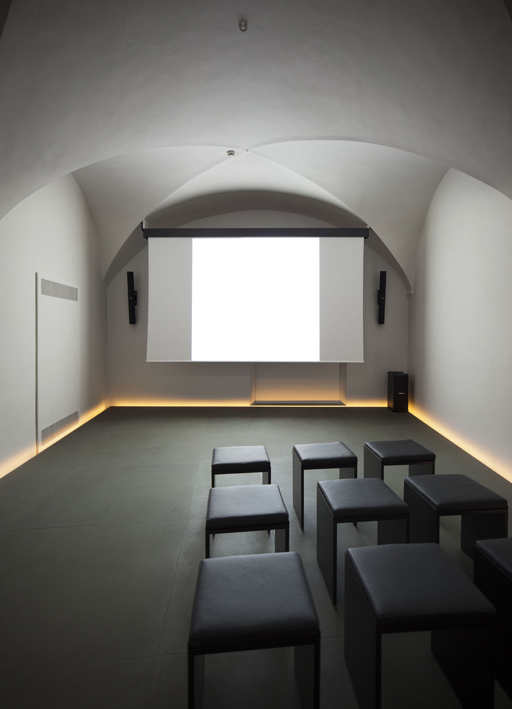 ai tuoi piedi has been designed both for the distribution needs in the centre of the room and for the cases in which a side distribution is needed, like the one in the cinema room on the first floor, in which the line of the light that emerges from the side profile emphasizes the architectural space and at the same time allows the correct housing of the cables for the sound, video light systems. 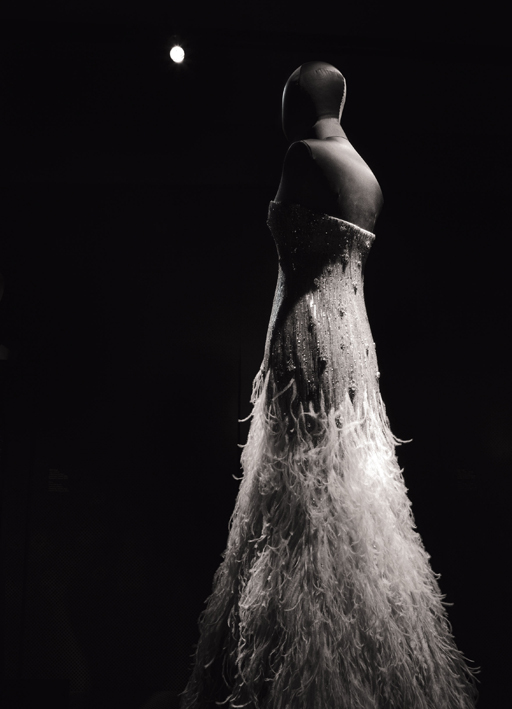 the ground floor south area hosts the first part of the museum itinerary: the beginning of the gucci’s history and the first icons that made the brand famous. 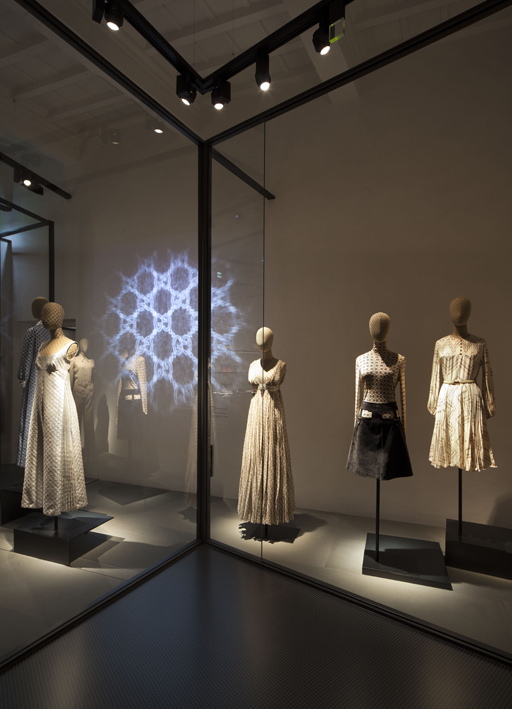 the permanent exhibition of the gucci archive is devided into different theme rooms, dedicated to the history and the creation of the maison, along with a series of contemporary art installations (for the opening the building hosted the artist bill viola) specifically selected with the pinault foundation), to retrace the whole history of the florentine fashion house. the floors in which the museum opened to the public is developed are three, while the basement of the building is closed, sealed like a caveau which holds the gucci archive: an immense collection of prét-à-porter clothes, accessories, objects, documents and pictures, meticulously collected, catalogued and preserved in order to document the creative universe and the cultural influence of the gucci heritage. the space dedicated to the exhibition starts from the ground floor, with the big jurney hall, in which to admire the trunks, suitcases, accessories and items created for the international jet set, that contributed to the international success of gucci during the dolce vita years. a return to origins, just think that it was ‘luggage and travel goods’ the name of the first collections designed by guccio gucci, inspired by the guest of the hotel savoy in london, where the founder of the maison worked as hotel concierge. the itinerary develops among rigorous showcases in metal posts that frame the objects allowing to perceive authentically colors and materials. an overhead profile (90x45) adapts itself perfectly to the exhibition itinerary continuing the vertical sign of the showcases and allowing the maximum flexibility of the light fittings placament: the precise and theatrical light goes down emphasizing the gucci creations like works of art. 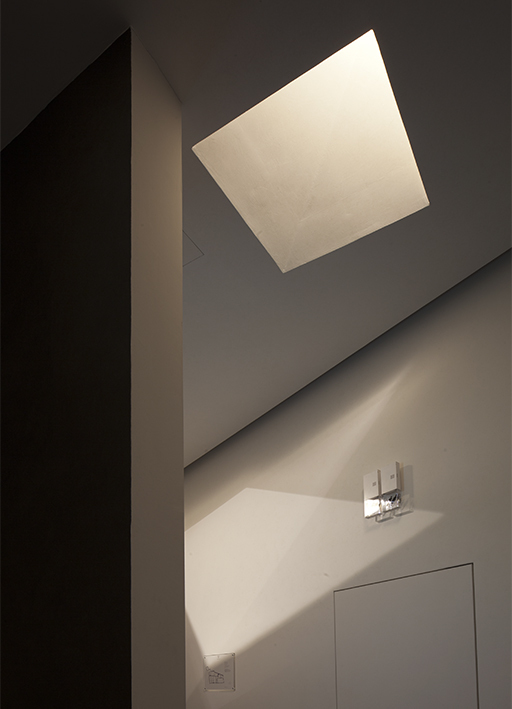 a special light fitting was designed for the glass shelves: melì. 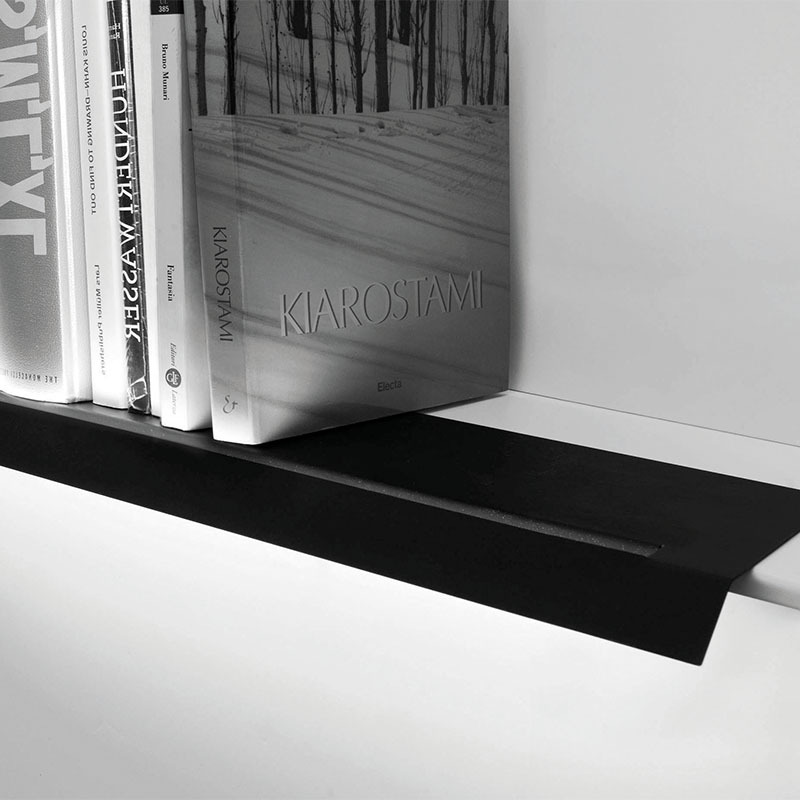 an interlocking profile that disappers from sight connoting as a simple closing line of the shelf, but allowing the correct lighing of the item displayed. the light does not reflect on the glass and does not glares the visitor: it leans regularly on the exhibited collection living depth and excellent colour rendering. the journey inside the gucci’s history continues on the first floor, with the representation of the first themes and icons of the maison: from the flora style, the evergreen pattern that over the years developed multiple interpretations and stylizations of all the products of the company; to the bags hall, design path and excellent craftsmanship which reminds the historical models, become real objects of worship and still very sought after; to the evening theme, that reveals the dream of the evening dress and the magic of the red carpet creations worn at the most prestigious events, and to the jewels hall. for these two spectacular areas a customized lighting has been designed: the evening dresses hall is illuminated only with precise light from above with special narrow beam optics which make the objects imposing and sculptural, outlining them from the rigorously black and neutral background. 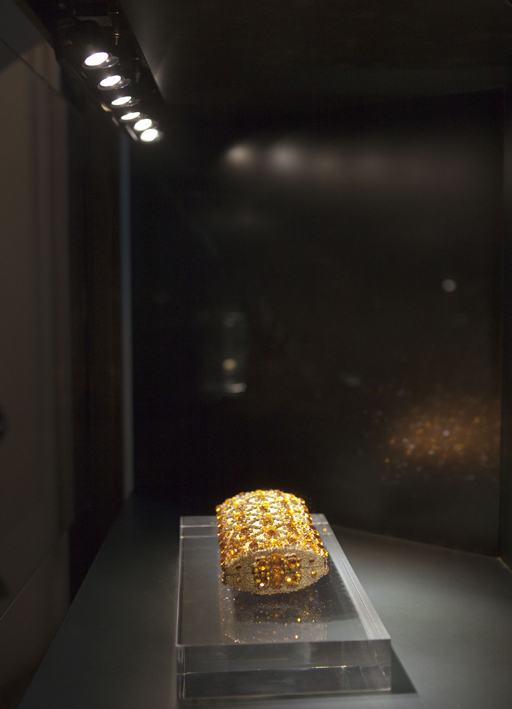 for the jewels hall, on the other hand, one conceived a light integrated with the exhibition system of the showcases: the micro pagine that allows a precise lighting on the item and a great flexibility when one changes the exhibited item. little lids, finished with the same showcase finish open up and are browsed like pages containig light which is adjustable as required. going up to the second floor , the exhibition goes on with the logomania, a space which retraces the evolution of the double g monogram, tracing a story in the history where the protagonist is the everlasting graphic sign which became the symbol of made in italy. the journey ends with the lifestyle and sport themes. the museum is a path inside the path: the history of florence represented by the prestigious walls of the building and the one of a man, a craftsman, a designer, a dreamer who raised the name of his town worldwide. it is the history of the past, but also the light for the future.